If you’ve never been to Asia before, welcome to a whole new world. Not just unbelievable sights and indescribable feelings… but an entire market devoted to whitening products. Coming from the West where a tan is considered de rigeur, you might find it strange to see the first ten adverts in fashion magazines are invariably for whitening creams, or that cosmetics companies develop entire lines of whitening products specifically for the Asian market. 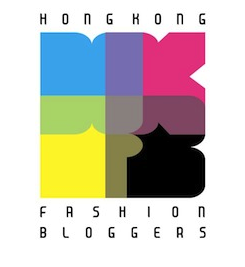 The first time I came back to HK, shop assistants would compliment my ‘lovely skin – so white!’, a far cry from the randomers I would hear dissing me in clubs in the UK as they thought I was wearing white tights (nope, just glow-in-the-dark pale legs). 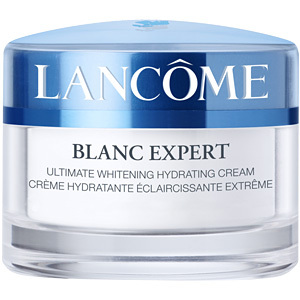 I’ve since noticed my sunspots coming out to play far more in the hot and humid HK climate so decided to jump aboard the whitening bandwagon with Lancome’s Blanc Expert Ultimate Whitening Hydrating Cream (yep, it’s not just local companies, the big guns are at it too). The shop assistant at Bonjour was all for me buying an $800 special pen specifically designed to obliterate my freckles, but I was adamant I wanted a moisturiser – after all, if special pen failed, that was 800 dollars wasted but with this, at least I’d still be getting a decent moisturiser out of it, right? Lancome promises that its whitening hydrating cream will provide intense moisturisation, re-plump the skin and fade the appearance of dark spots, giving me softer, smoother, firmer and more radiant skin as a result. It comes in the trademark chunky classy Lancome packaging that looks heavy and luxurious but is actually lightweight and plastic. The smell is also trademark Lancome – a not unpleasant, faintly medicinal aroma that reminds you of the scent of old-fashioned cosmetics cabinets and pampered aunts from your childhood. It’s indicative of the cream itself, which manages to be rich yet still feel quite light. It has a slight liquidity to it – not to be confused with being greasy, which it definitely isn’t – that makes it feel like a cream that has been (not entirely successfully) mixed with gel, meaning it’s a bit too slippery to work as a good base for make-up. As a moisturiser, it’s sound enough although I found it made my T-Zone look too shiny and my face too slippery for everyday use. Instead, I used it just as a night moisturiser and for the nine months it’s lasted, my skin has indeed been soft, plump and well hydrated. It glides on easily and has a luxurious feel about it, although it takes a while to absorb as it’s definitely a cream from the richer end of the spectrum, even if it doesn’t have that typically heavy texture. As a whitener, I’m not entirely sure – with these things, you can never be sure if it’s the placebo effect convincing you that your freckles have faded! Overall, my complexion did seem very clear and bright, but I have pale skin anyway. I believe my lighter sunspots have faded somewhat and I’ve certainly not noticed any new ones appearing but for the larger darker ones, any difference is minimal. For an overall brightening radiant effect at a similar price, I preferred Bliss’ Triple Oxygen Energising Cream, which feels lighter and has a more modern fresh scent. When I pointed my sunspots out to my auntie alongside my worries they’d look really bad in my old age, she told me by the time I got that old, a few freckles would be the least of my worries! Having given the whitening thing a whirl and not been especially wowed at the effects, I’ve come round to her way of thinking too. Lancome’s Ultimate Whitening Hydrating Cream is a decent enough moisturiser but if you’re expecting to come out it looking like Cate Blanchett, you may well be disappointed! This entry was posted in Beauty and tagged Asian cosmetics, Beauty, Blanc Expert, cosmetics, face moisturiser, Lancome, make-up, moisturiser, moisturizer, night cream, review, Ultimate Whitening Hydrating Cream, whitening. Bookmark the permalink. Don’t turn yourself into a Japanese ghost!